You’ve done it. 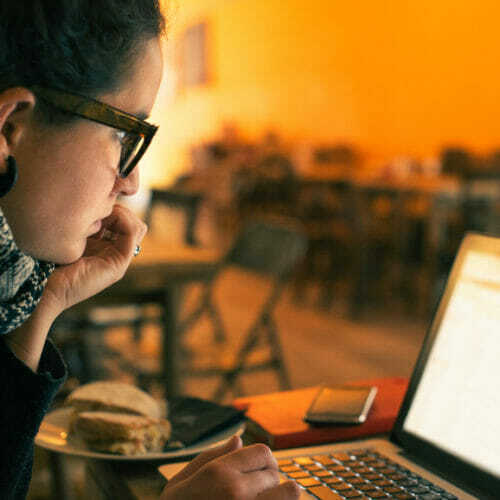 You’ve made the decision to go out on your own as a freelancer. So, you can alert the media and get ready to roll in the dough, right?? Well, hopefully. Eventually. Soon! But, before you start planning the press conference and practicing belly flops into piles of cash, you’ll need to get yourself some clients. And you’ll have to figure out how to ask them for money. And there’s the matter of actually doing the work. And, as a one (wo)man operation, you’ll have to be the one who handles ALL of this. Sound overwhelming? Don’t worry! I narrowed in on a quick and easy way to learn to do all of those things, and all you have to do is open your inbox. I rounded up 5 email courses and newsletters that can transform the way you freelance, so you can start living your dream freelance lifestyle WITHOUT waiting till you have years of experience. Email courses and newsletters are a super-convenient, fast, and free way to learn valuable skills. Once you sign up, you’ll get daily or weekly messages with information and links to resources that will help you level-up as a freelancer faster (and avoid The Struggle). Once you get into the world of freelancing, you’ll get used to hearing the phrase “build up a pipeline.” Building up a pipeline is the process of gathering together a collection of qualified leads. If that sounds like gibberish to you, don’t worry. All you need to know is this: when you build up a pipeline, you establish a group of people who know who you are, are interested in your work, and are waiting in line to pay you for your work as soon as you have an opening in your schedule. And if building up a pipeline of potential clients when you JUST started freelancing and haven’t amassed a portfolio of impressive work (or garnered word-of-mouth referrals) sounds intimidating, don’t worry. You can STILL get clients waiting in line. You just need to build hype and enthusiasm around your work to show that your services are in demand. 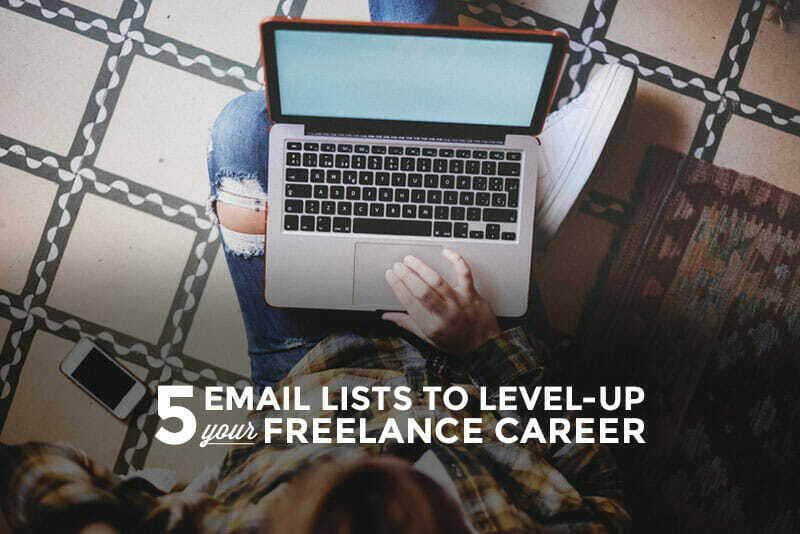 But if you’re brand new to freelancing and don’t have a ton of projects or word-of-mouth recommendations bringing in clients, you can speed up the process of getting potential clients excited about you by building up an email list. That’s where Nathalie Lussier comes in. In her 30-Day List-Building Challenge, she’ll show you how to build up an email list. They’ll become your community, and a pool of potential clients you’ll have direct access to. What makes it a game changer: You’ll be able to capture a community of potential clients who are interested in your work and want to pay you. Well here’s the big not-so-secret resource that can make little situations like this infinitely easier to deal with—Creative Market’s Free Goods of the Week. When you get on the Creative Market newsletter list, you’ll get a menu of 4-6 totally free downloadable resources in your inbox each Friday, from cool social media icons and Photoshop texture packs to custom fonts and WordPress themes. What makes it a game changer: You won’t have to create every little thing from scratch, since you’ll have free access to high-quality design elements. Rob Williams has a theory. Spending hours and hours of your life searching for clients (sending out email after email on Elance, cold-emailing companies, and calling all your former clients) isn’t a smart use of time. But what can freelancers do? Without clients, they can’t make any money. His solution is a paid service that sends you 8-10 pre-screened leads (potential clients) who need your skills each day, so you can focus on the work rather than the icky logistics of probing the vast Internet for clients. Even if you don’t join Rob’s program, Workshop, he sends great tips to his email list about how to productively find clients. What makes it a game changer: You’ll learn how to make the clients come to you—not the other way around. When you sign up for Charge What You’re Worth, you’ll get a series of 9 emails that will guide you to transform the way you think about getting paid. Brennan breaks down a ton of the assumptions we tend to have about how to make money freelancing, from how to quote prices to clients to how to talk about what you do. When I started receiving Brennan’s emails, I read every word of every single one. He can totally transform the way you position yourself as a freelancer. What makes it a game changer: You’ll learn how to stop struggling and hustling and start earning the living you need and want. When I first stumbled across One Woman Shop, I sank into a blackhole reading all their resources and blog posts. One Woman Shop is an online community for women entrepreneurs and freelancers who don’t want to feel isolated. When you join, you get to choose between 2 levels of membership, so you’ll be able to take advantage of the community even if you’re starting out on a shoestring budget. Finding a community might not sound as important as making money, but your supportive group could be what keeps you sane (and in business freelancing!). What makes it a game changer: You’ll get a group of other freelancers to talk to, and you’ll get engaged in a supportive community that keeps you going when you feel stuck. So here’s your plan. 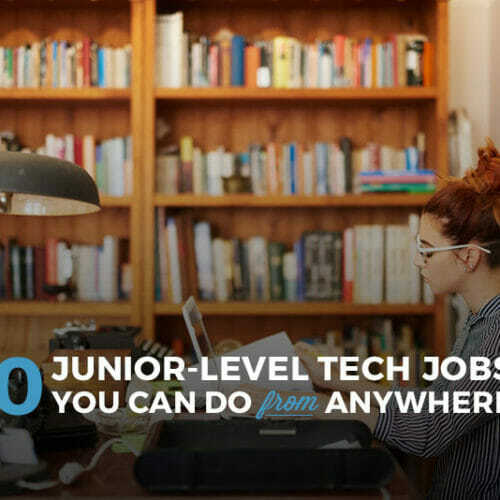 Bookmark this list and get started. 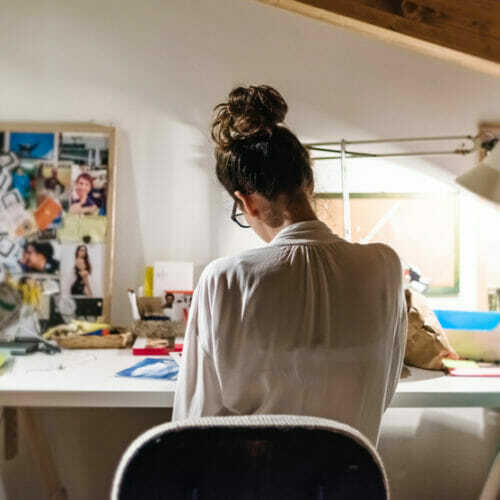 You don’t have to wait till you have 5 years of experience to start earning a stable income as a freelancer, you just have to focus on the areas that will help you grow FAST. 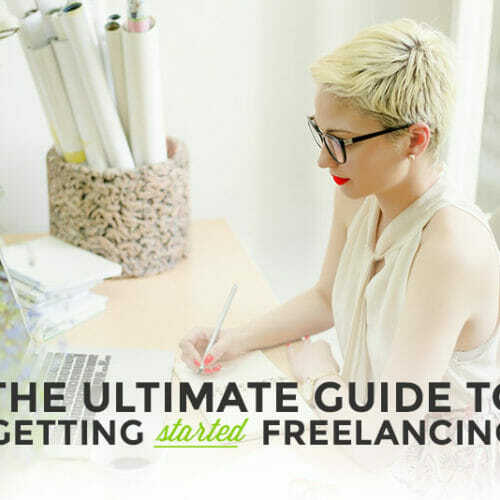 And, if you still don’t feel quite ready for all this, download the free Skillcrush Ultimate Guide to Getting Started Freelancing. You’ll learn THE essentials of starting off on your own broken down into simple steps with LOADS of free references and resources. Editor’s Note: An earlier version of this article stated that One Woman Shop utilized “pay what you can” membership, which is no longer their current strategy. Their new Coffee and Espresso membership offerings are here! !